How do I access Facebook's computer desktop interface from the mobile interface? How do I get the date I joined Facebook to show up on my Timeline? In the computer desktop interface, click the "Edit Profile" button on your Cover Photo, scroll down to the "Joined Facebook" section, click the checkbox, and click the Save button. The date will show up inside the Intro section, to the left of your Timeline. In the cell phone interface, go to your Timeline (Cover Photo + Profile Picture at top) by clicking the 3 horizontal lines in the lower right, click your name, click Edit Profile, scroll down to Details, click Edit Details, scroll down to the JOINED FACEBOOK area at the bottom, click the checkbox (or uncheck and check), and click SAVE. Doesn't seem to work in the iPad interface - watch for updates. Facebook monthly users: 2004=1m, 2005=6m, 2006=12m, 2007=58m, 2008=145m, 2009=360m, 2010=608m, 2011=845m, 2012=1056m, 2013=1.23b, 2014=1.44b, 2015=1.59b, 2016=1.86b, 2017=2.16b. World population: 7.6b. FB/WP: 28.4%. 2017/12 active users: YouTube 1.5b, WhatsApp 1.3b, WeChat 980m, QQ 843m, Instagram 800m, Tumbler 794m, Twitter 330m, Skype 300m, LinkedIn 260m, Snapchat 255m, Reddit 250m, Pinterest 200m. 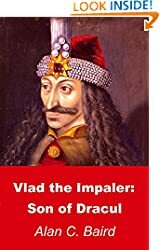 Donald Trump = Vlad the Impaler? >>Healthcare/Homelessness. We all know that Trump is firmly committed to strengthening the safety net that protects the most vulnerable members of our society. And Vlad had that same level of commitment. VLAD: You have gathered together all the cripples, the poor, the sick, the vagrants and beggars of this land? DRAGOMIR: Yes, Voivode. They're quite a smelly crowd, but they seem to be having a good time. It's lasted all day, and half the night. Vlad nods, and walks inside the hall. Hundreds of wretched PEOPLE are enjoying a sumptuous feast. They stuff themselves with huge plates of food, and drink jugs of wine until they can drink no more. Things are getting pretty ROWDY, but everyone quiets down at the sight of Vlad. VLAD: No one should go hungry in my land! What else do you need? Do you all want to be without cares... would you like to be poor no more? VLAD: Then it shall be done! VLAD: Dragomir, all my subjects should work, and contribute to the common welfare. Let's make sure these parasites will present no further burden to others. Dragomir nods, and signals to his MEN. They NAIL planks over the doors and windows, and set fire to the hall. VLAD (continuing): Remember: no survivors. Dragomir salutes, as Vlad walks away. The people inside the burning building begin to SCREAM. >>Foreign Emissaries. In Trump's international interactions, he represents America in a mature and dignified manner. Vlad's dignity was also unparalleled. GURAY and FARUK, two Turkish ambassadors, are the guests of honor at Vlad's court. The celebration banquet has attracted a huge CROWD of the Boyar noble class. VLAD beckons ONE OF HIS COURTIERS, and the two men step out into a hallway. VLAD: Why are the Turks still wearing those stupid turbans? Weren't they told they're required to remove their head coverings in the presence of the Voivode? COURTIER: Yes, sir. But they *did* bow in front of you. They say they're not allowed to remove the turbans. This is their custom. COURTIER: They say they never remove them, even for the Sultan. COURTIER: Yes, they wear those turbans *all* the time. VLAD: Is that so?! Hm. Vlad WHISPERS to the courtier, who immediately runs down the hallway. Vlad returns inside to the banquet, smiles and lifts his wine glass to Faruk and Guray. The Boyars also lift their glasses. VLAD: To the Sultan's ambassadors! BOYARS: To the Sultan's ambassadors! VLAD: I understand it is your custom to wear those turbans all the time. Guray looks quizzically at Faruk, then shrugs. VLAD: Well then, I want to help make sure they'll never fall off by accident. Vlad's GUARDS move in behind the ambassadors and hold them still, while the turbans are NAILED to their heads. >>Women's Issues. Donald Trump obviously holds women in the highest esteem. Vlad also treated women with the utmost respect. Many PEOPLE move in and out of this large hall, where Vlad sits on his throne. One MAN kneels in front of him. VLAD: Okay, you'll be sitting on a stake later this afternoon. Next! The man is dragged away, pleading and CRYING. Dragomir hauls a WOMAN in front of Vlad, and forces her to kneel. VLAD (continuing): Dragomir, I'm getting bored. This one had better be good. DRAGOMIR: Voivode, she was unfaithful to her husband. VLAD: Infidelity, eh? We haven't seen a case like this all week. (pause) Let's see, let's see. How can we discipline her? WOMAN: But sir, I am innocent! Vlad and Dragomir share a hearty LAUGH. VLAD: A wife is just a whore who's waiting for the right opportunity. VLAD: No more buts. You've wrapped your legs around too many butts already. Dragomir, did I ever tell you about peeling the skin off the bottom of that thief's foot? DRAGOMIR: How could I forget?! VLAD: Yes, it was a classic, wasn't it? But I've always had nagging doubts about that punishment. VLAD: Lately I've been wondering if we should've taken it further. A CROWD has gathered, and they're all staring up at the unfaithful woman, who is, of course, SCREAMING. Vlad and Dragomir stand in the crowd's front row. VLAD (continuing): She wanted to spend time with men other than her husband, and she wanted to get naked in front of them. So who am I to deny her wishes? The Woman is tied to a tall post. Her skin has been removed, and it's nailed to the post above her, flapping in the wind.